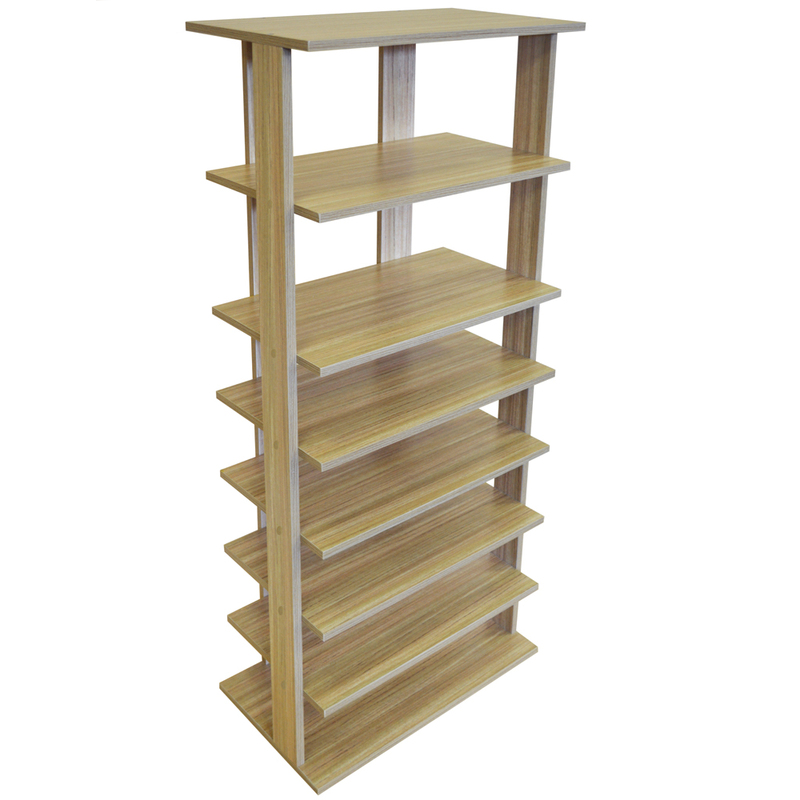 This free standing shelf looks great and can hold a lot of stuff! 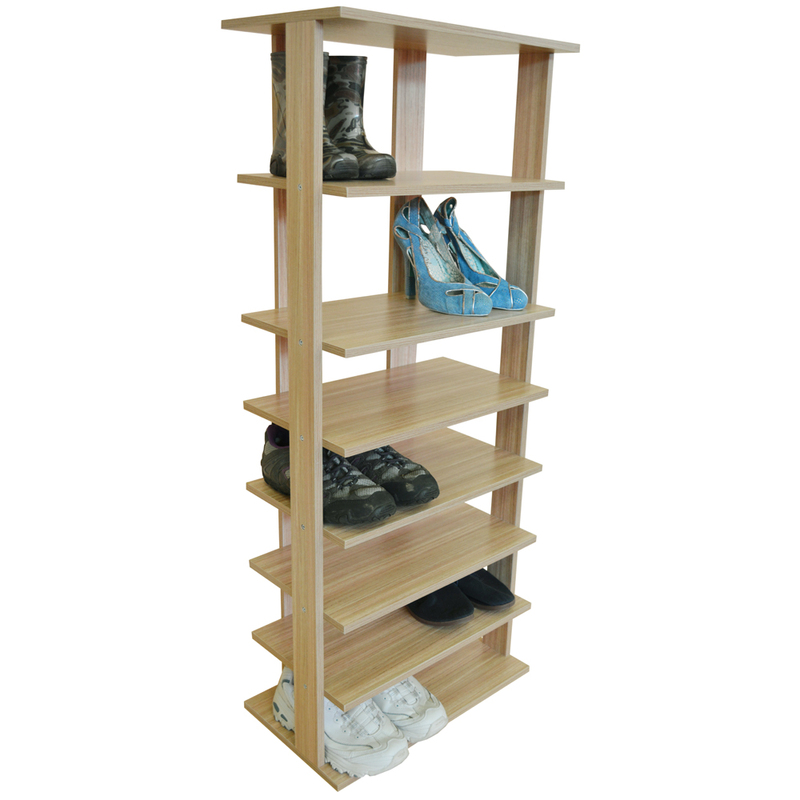 Designed as a shoe rack it has five shorter 12.3cm high shelves ideal for flat shoes and trainers PLUS two taller 19cm high shelves ideal for boots and high heels, each shelf can hold two pairs of shoes, so thats 14 pairs in total. 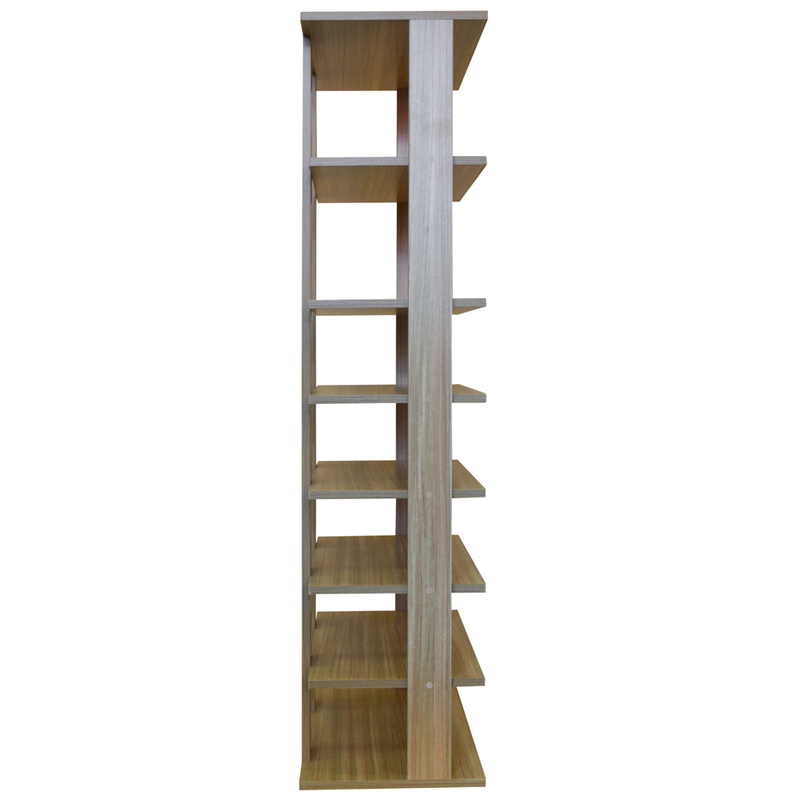 Shelves: 43cm wide x 25cm deep. 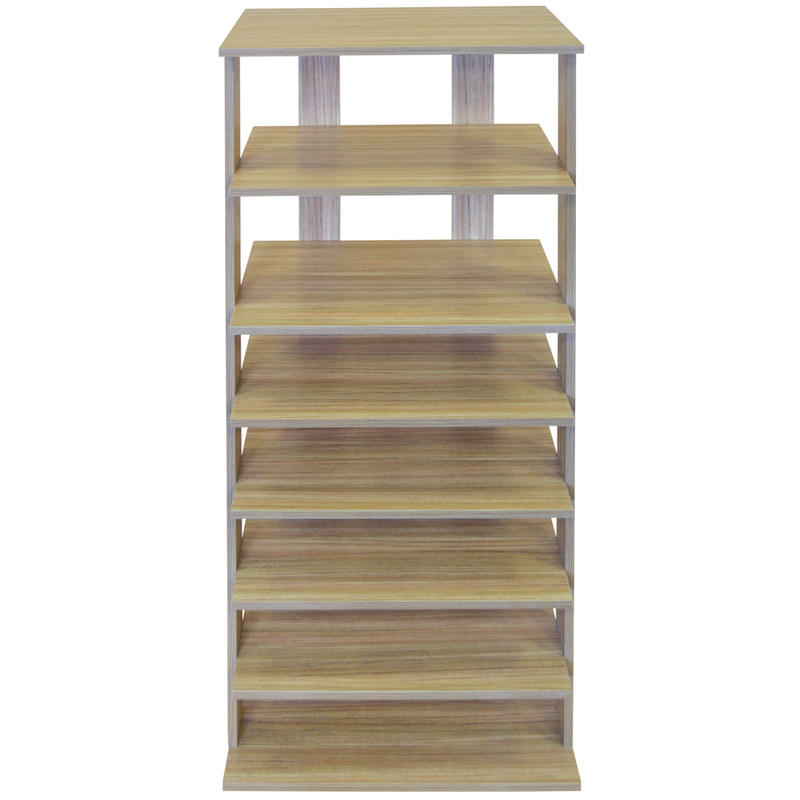 Ideal for hallways, entranceways and perfect inside cupboards too this shelf takes up very little floor space but packs in the storage - can be used with the larger shelves at the top or the base. 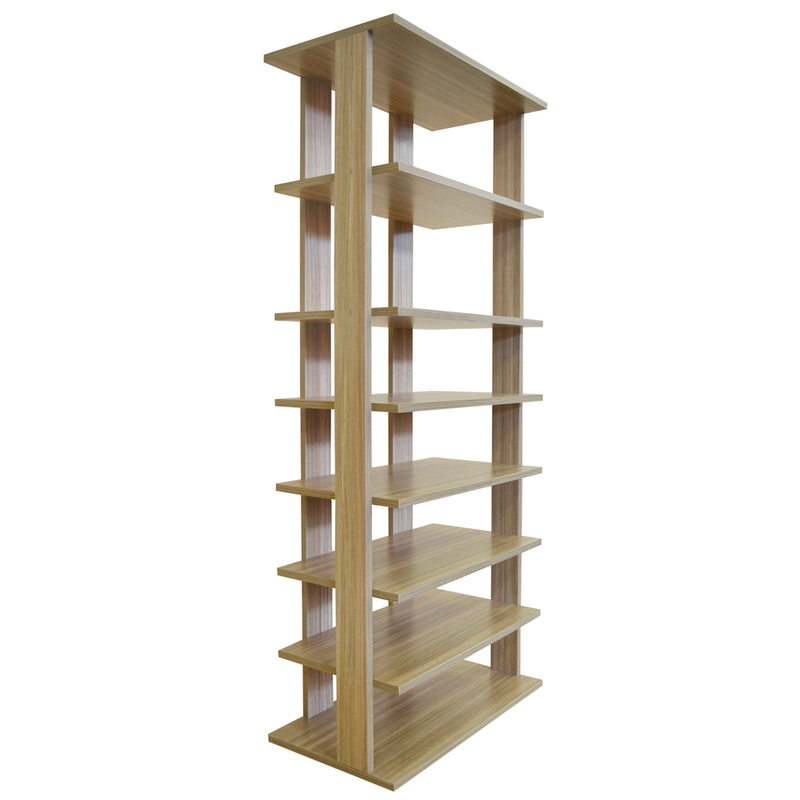 Made from particle board with a light oak wood effect finish.